Yesterday was July 4th and some of you might have attended a cookout or two. 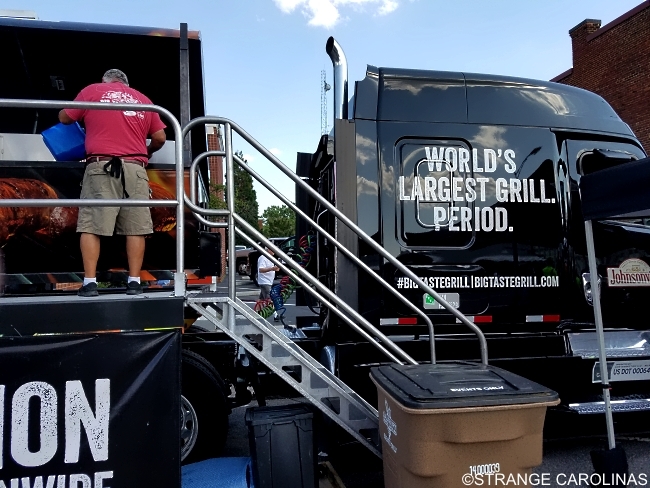 Well, if you had Johnsonville's Big Taste Grill, not only could you have made sure your friends had plenty to eat at your cookout, you could have taken care of your whole neighborhood. 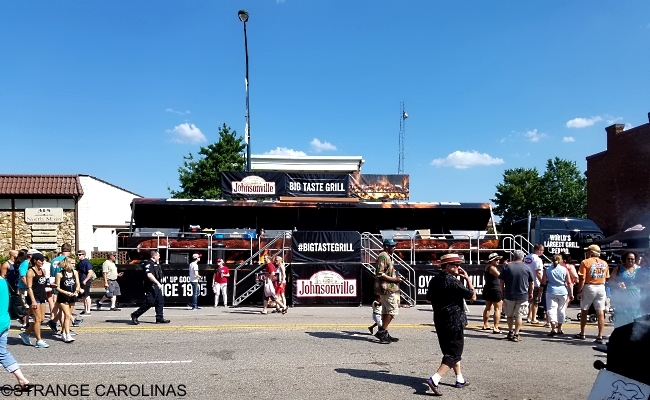 The Big Taste Grill was at Salisbury's Cheerwine Centennial Celebration we attended back in May and we were amazed at its size. So how big is it? 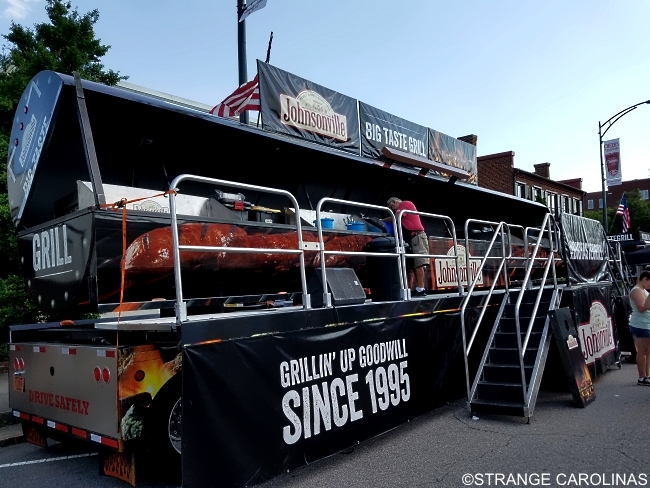 According to the Big Taste Grill website, the grill is 65 feet long, 6 feet in diameter, and 20 feet tall. 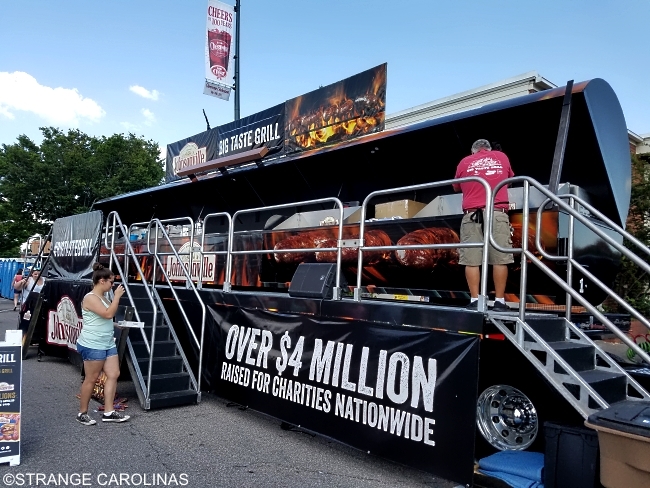 It can cook 750 bratwurst at one time.